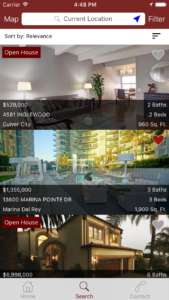 Our listing details view, enables Real Estate agents to provide mobile app users, with detailed information about each home listing with clarity and an easy call to action. Our latest Listing update has redesigned how information is displayed in your listing summaries and also effects a more detailed map view. Our redesigned information for listings is sharper and easier to read which means overall an even better looking user interface! -Provide customers with detailed images of properties. -Provide customers with detailed information related to each property. -Inform customers about day and time of open house. -Customers get all the information they need on one page. 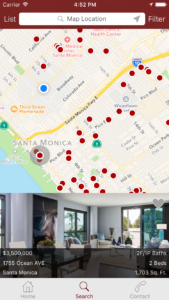 – Customers have a clear way to share, map, and favorite each property. – Customers get an easy and apparent way to contact the agent. Your customers now have more searching power inside your app! This entry was posted in SnApp Development and tagged features, snapp development, updates. Bookmark the permalink. ← What Do You Need In iOS App Development for Real Estate?